In the life span of a sermon, Tuesday is the early years…I mean, really early. It’s like a toddler who is still learning how to put one foot in front of another…and sometimes goes barreling across the room only to face plant after five steps. This is my ‘read commentaries’ day, my stew in it day…my place the text in a marinade day. And so writing about a text on Tuesday—putting thoughts in word form—is a bit of a ‘flash marinade’ if you will. And I can’t help but thinking that these thoughts are not highly seasoned. In this second week of Lent, we have landed at the Parable of the Workers in the Vineyard…an enormously frustrating text. A landowner essentially pays all of the workers the same rate…no matter how long they worked. I can understand the frustration of those who had been working all day seeing the latecomers get exactly the same pay. This parable reminds me of comments I’ve heard about the criminal on the cross next to Jesus. In his last few breaths, he cried out “Jesus, remember me when you come into your Kingdom.” And Jesus answered him, “Truly I say to you, today you will be with me in paradise.” While we are glad to hear that he is saved, we can’t help but feel a sense of indignation…this man lived however he wanted his whole life…and at the last minute, he was saved by Jesus! These two texts strike at a human-made gospel near and dear to our hearts: the gospel of fairness. And if these passages are anything…they are NOT FAIR. And whenever we try to marry Jesus and fairness…it never works. This is why as much as we love to talk about beauty and majesty of God’s grace, there is a side to it that we don’t often attend to: the frustrating side of grace. The side that ignores what is fair. We want acknowledgement for our hard work of following God…we want to move a little farther ahead of the pack…we want to do know that jewel in our crown will be there for us…because we’ve earned it! But this, my friends, is the toddler stage. It’s not the gospel. For one thing, life in Christ is a gift not a burden. Those who get to spend all day in the bounty of the vineyard, even laboring there, have it better than those who sit around elsewhere. 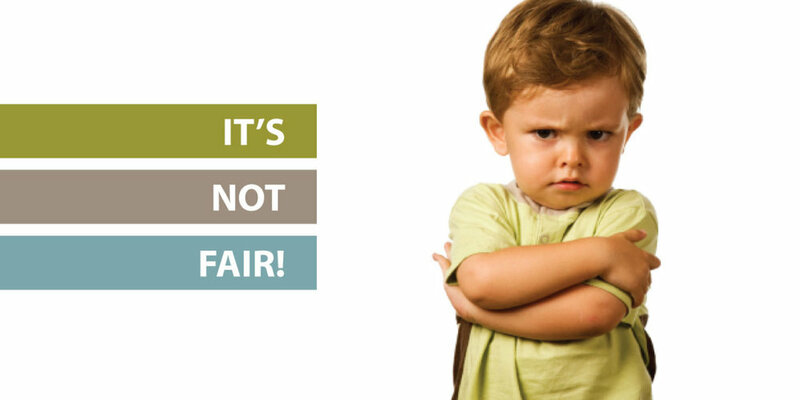 Besides, if we really start playing the fairness game, and get what we deserve…that doesn’t look good for us either. Grace is frustrating because it is not fair. It is not measurable. It is not doled out in different quantities. It’s grace: overflowing, abundant, and immeasurable. And while we live in a world that strives for fairness…good things like pay equity and living wages, this passage is not about that. It’s about grace. And no matter how long we have been in the vineyard, grace is grace and we all receive it. Grace is a gift. And at the end of the day, it is handed to all us in abundant measure. Because God is not fair…God is grace, mercy, and love. Thanks be to God.